Our restorative dentist in Harrisonburg has a unique ability for improving your health, refreshing your smile, and rejuvenating your self-worth. What more could you want? ‘‘The office is outstanding and the staff is wonderful, always trying to be helpful! They are a new practice with state of the art equipment. This doctor takes his time when caring for his patients. Fill the gap in no time. A silver amalgam or tooth-colored composite filling is used to repair a tooth that is affected by decay, cracks, fractures, etc. The decay will be removed and then filled with either filling in just one appointment. 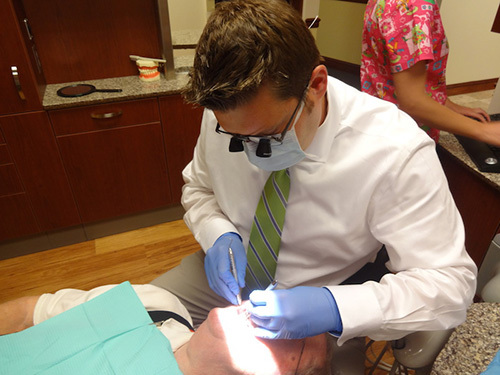 Your tooth will be thoroughly cleaned and prepared before the new filling is placed. If the decay is near the nerve of the tooth, a particular medication will be applied for added protection. The filling will then be precisely placed, shaped, and polished, restoring your tooth to its original shape and function. Speak with our experts about whether amalgam or composite fillings are right for you. Regain your tooth with function and beauty. Dental implants are artificial roots (titanium) and teeth that are surgically placed into the upper or lower jawbone by our restorative dental implant experts when the area is numb. The prosthetic tooth attached to implants is custom made, very natural looking, and restore a patient’s smile! 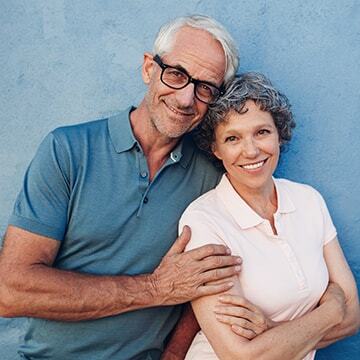 Dental implants are also an excellent way to replace multiple missing teeth and provide a solid foundation of support and stability for partial or complete dentures (also known as All-on-4, Smiles In A Day, and implant supported dentures). A crown (or cap) may be needed if a tooth is broken, decayed, fractured, or in need of cosmetic repair. The crown is a covering that encases the entire tooth surface, restoring it to its original shape and size while protecting and strengthening the tooth's structure. Although there are several types of crowns, porcelain (tooth colored) crowns are the most popular. They are highly durable and will last many years and only require two appointments where we'll take accurate molds and place the bespoke crown. Porcelain crowns are made to match the shape, size, and color of your teeth, giving you a long-lasting, beautiful smile. Get your natural smile back! A denture is a removable dental appliance and a replacement for missing teeth and surrounding tissue. They are made to resemble your natural teeth and enhance your smile. There are two types of dentures - complete and partial dentures. Complete dentures are used when all of the teeth are missing while partial dentures are used when some natural teeth remain. A partial denture not only fills in the spaces created by missing teeth, but it also prevents other teeth from shifting. With dental implants, we can even make your smile fixed to the jawbone just like a natural set of teeth, so you don't have to remove your teeth to clean or sleep! During your denture appointments, highly accurate impressions (molds) and measurements are taken and used to create your custom denture. We try it on for size to check proper shape, color, and fit. Bridge the gap to your perfect smile. A dental bridge is a fixed (non-removable) appliance and is an excellent way to replace missing teeth in around two visits or more. There are several types of bridges that we offer. The “traditional bridge” is the most popular option for our patients and is made of porcelain fused to metal. It consists of two crowns that go over two anchoring teeth (abutment teeth) and are attached to artificial teeth, filling the gap created by missing teeth. A pain-free fix for your tooth. Root canal therapy is needed when the nerve of a tooth is affected by decay or infection. To save the tooth, the pulp (the living tissue inside the tooth), nerves, bacteria, and any decay are removed, and the resulting space is filled with medicated dental materials, which restores the tooth to its full function. Having a root canal done on a tooth is the treatment of choice to save a tooth that otherwise would die and have to be removed. Many patients believe that removing a tooth is the solution, but extracting (pulling) a tooth will ultimately be more costly and cause significant problems for adjacent teeth.